St. Patrick’s School thrives because of the balance of school support and parent involvement. Our Parent Involvement Point (PIP) system allows for a reduction in tuition for minimum hours completed. It is also a great way to get involved while meeting and making great friends. St. Patrick School relies heavily on volunteers to make special events and activities happen each year. These special activities not only enrich our children’s educational experience, but foster a sense of connectedness among members of our school community. Parents and caregivers are the primary educators of their children, and children learn by example. When our kids see us giving our time to a good cause, they learn to do the same. We hope they carry these lessons of mutual responsibility and generosity with them beyond St. Patrick School and into adulthood. Another unique benefit of Catholic education! Remember to TRACK your PIP service hours and return the form to the office. You can download the PIP Tracking Form here. If you are interested in a Major PIP opportunity, scroll down the page. 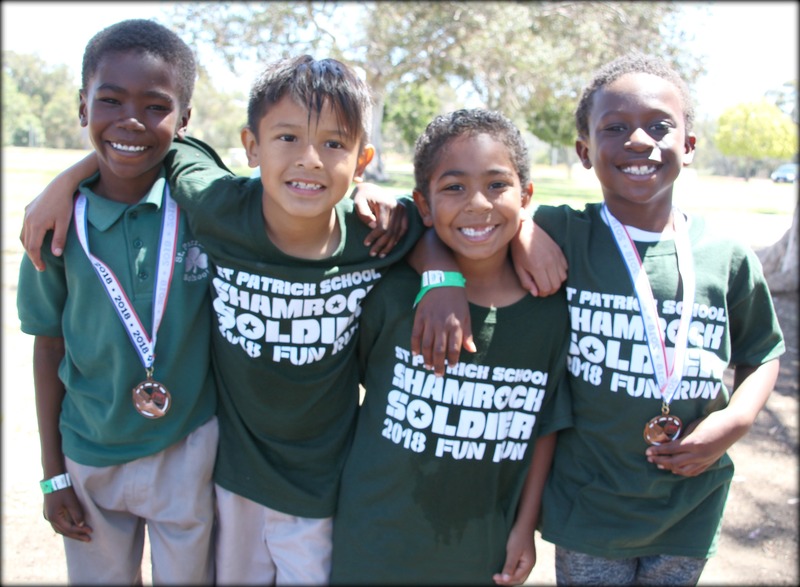 St. Patrick School always needs your help! Here are some ideas to help you acquire those PIP service hours. Check the Events Page for the latest requests for volunteers. If you are interested in a major PIP opportunity (earning an average of 10 PIP points or more) like chairing a Festival booth, click to complete a Volunteer Interest Form below. Please consider signing up to lead or support one or more of the following volunteer lead opportunities. Note: Volunteer opportunities listed do not include festival weekend opportunities, classroom volunteer time and field trips. Each of the following is guaranteed to earn a minimum of 10 hours PIP or more in an academic year. The following are only the major volunteer opportunities that require a high level of commitment. Please check any volunteer opportunities you may be interested in below and submit form. If you have questions regarding Fall Festival, email us directly at stpatricksfallfestival@gmail.com. Committee Member - Responsibilities to be discussed and based on need. Attend committee meetings and assist co-chairs on special projects. Room Parent Coordinator - Oversee and coordinate volunteer efforts for room parents. Respond to questions as needed. Marketing Coordinator - Need assistance with setting up and sending school emails, external events like Bird Park concerts, general marketing assistance and point of contact for advertising. Must be proficient in Microsoft Office and/or Wordpress. Hospitality Chairperson - Organize and set up days like New Student Day, Open House, Parent-Teacher conferences, including refreshments. School Maintenance/Handyman - Looking for parents to offer assistance with gardening, painting, plumbing, electrical, carpentry, and construction skills to help throughout year with St. Patrick School projects. Grandparents Day Chairperson (Jan/Feb) - During Catholic Schools Week, organize food and decorations in hall for student family members reception after Mass Our Lady of Guadalupe Chairperson - can be a committee (Dec) - Organize, set up, prepare lunch, clean-up, student games and prizes. Committee Member - Responsibilities to be discussed and based on need.